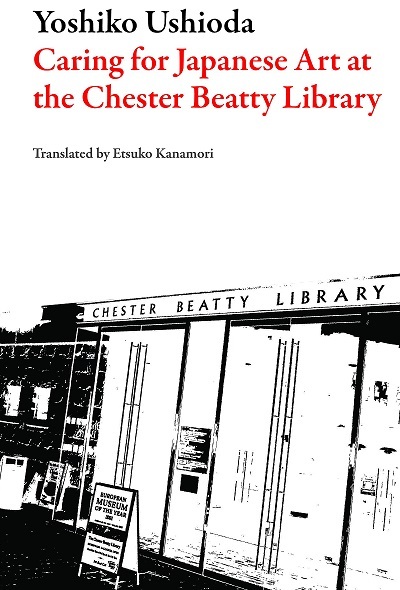 Caring for Japanese Art at the Chester Beatty Library is a memoir of Yoshiko Ushioda (translated by Etsuko Kanamori), looking back at more than five decades of life in Dublin. The story begins in 1960, when she traveled from Tokyo with her young son to join her husband, a research-fellow at University College Dublin. Beginning as a volunteer at the Chester Beatty Library in 1970, she would go on to become curator and accompany masterpieces loaned by The Chester Beatty Library to special exhibitions all around the world. Both inspiring and heartfelt, Mrs. Ushioda’s memoir will be of interest to both lovers of Japanese Art and those interested in Irish-Japanese relations. Yoshiko Ushioda was born in 1931 in Mito, Japan, and moved to Dublin in 1960. In 1970, she began volunteering at the Chester Beatty Library, and was promoted to curator of the Japanese Arts Collection in 1980. She retired in 1996, and currently lives in Dublin with her huband. 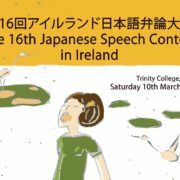 Mrs. Ushioda is also a founder member of Ireland Japan Association. 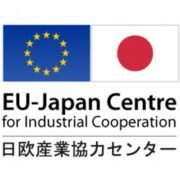 Etsuko Kanamori was born in 1959 in Nagasaki and has worked as an interpreter and translator for Ericsson Japan, Fukuoka, Shin-Yokohama and Yokosuka Research Park. She currently lives in Dalkey, Ireland. The book can be pre-ordered here!